Hamburg, 20 September 2017, shortly before 12 o’clock. 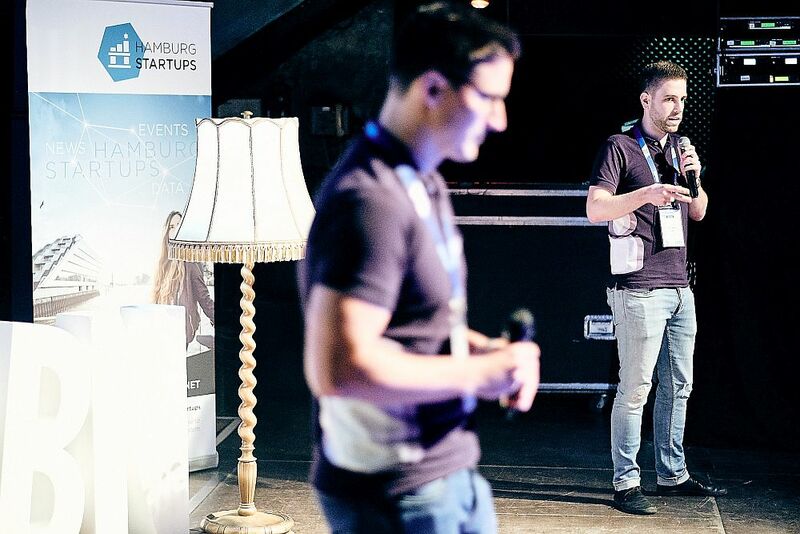 While the first guests are already arriving, the team members of Hamburg Startups are still racing through the rooms and over the grounds of the legendary music club Gruenspan to ensure that everything is perfectly prepared for the upcoming show “Startups@Reeperbahn”. No matter what, they are not deterred by adverse external circumstances. 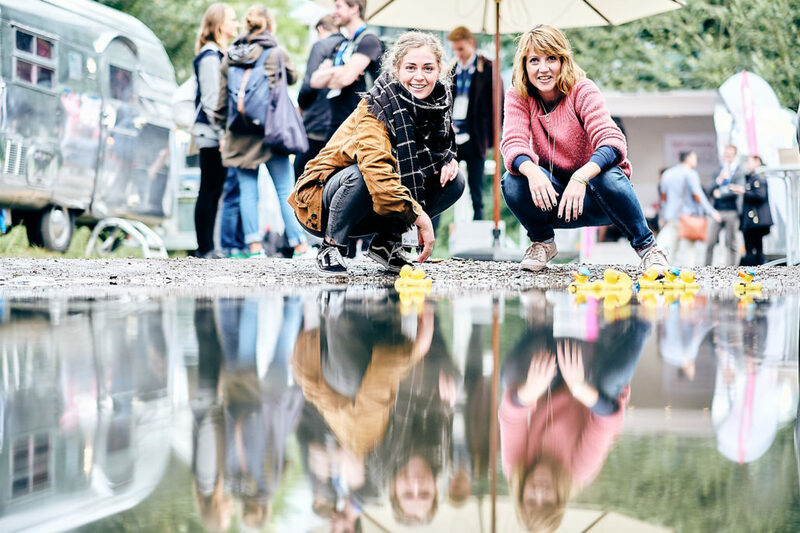 A puddle in the backyard with the dimensions of a medium-sized garden pond has been ornated with a few squeaky ducks and thus becomes another eye-catcher at an event where every detail is right. At this event, even the backyard is a venue, because that’s where the Love Mobiles stand. These are decorated caravans of the classic US brand Airstream which have been converted into a meeting place for startups and helpful mentors. Approximately 70 blind dates take place there, presented by our partners Handelskammer Hamburg, nextMediaHamburg, T-Systems, Jimdo and QVC. Blind Dates means that the conversation partners did not know anything about each other before and meet each other for the first time in the Love Mobiles. Startup experts encounter committed founders so that all parties involved will go home with new experiences and insights that can be of great benefit for the further professional career. Maybe the Meetings in the Love Mobiles even lay the foundation for a future business relationship. In the Love Mobile of QVC, forward-looking discussions are held. This is especially true for the QVC trailer. 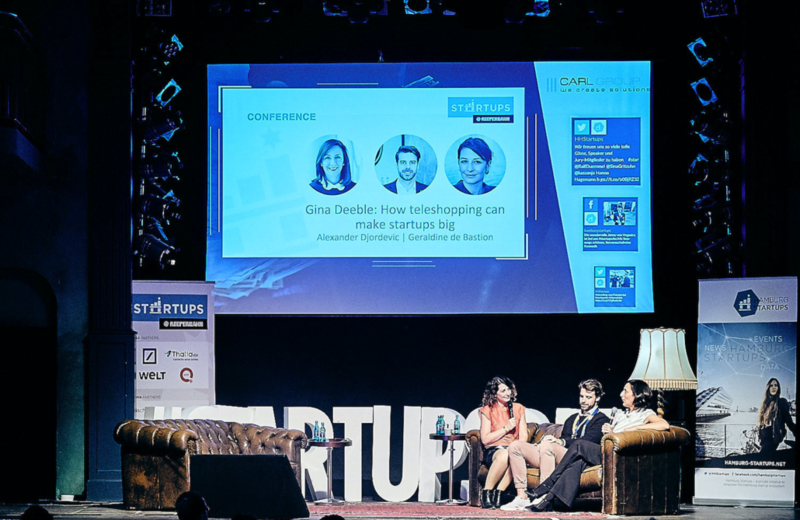 The company, which has grown big with teleshopping and is now making its shopping experience possible in the digital media as well, celebrates a very special premiere at Startups@Reeperbahn. QVC NEXT is the initiative that has made it its mission to discover new companies and their products and presents them to the QVC audience. Geraldine de Bastion, Alexander Djordevic (Foodist) and Gina Deeble (QVC). Gina Deeble, Vice President Commerce Platforms, QVC Germany, demonstrates the sales power of QVC in Germany and worldwide in her presentation at the parallel conference. 1.8 million customers, 90 % of which are women, the shopping giant has already won over in Germany, and the majority of them is always enthusiastic about new products. The digital business is gaining ground, with 50 % of it already being conducted via mobile devices. The target group is accordingly broadly positioned. The days when QVC mainly reached just older viewers are long gone. Diversity is a key to QVC’s success, and so it is to the entire conference programme, moderated by the fabulous Geraldine de Bastion. Fridtjof Detzner, one of the founders of Jimdo, reports on a television show by Deutsche Welle which is still in the production phase and is expected to be broadcast from the end of October. Fridtjof has traveled to a number of Asian countries to talk to entrepreneurs about their visions. You will read more about it in our blog soon! Marc-Sven Kopka (XING) with Mathias and Maren Wagener. Another exciting journalistic project is the book “Mein größter Fehler” (My biggest mistake), which is presented by Niklaus Förster. The editor-in-chief and publisher of impulse spoke to 100 founders about their failures, which inevitably belong to entrepreneurship. In Germany, this is still a sensitive issue, while in the USA it is taken much more for granted. 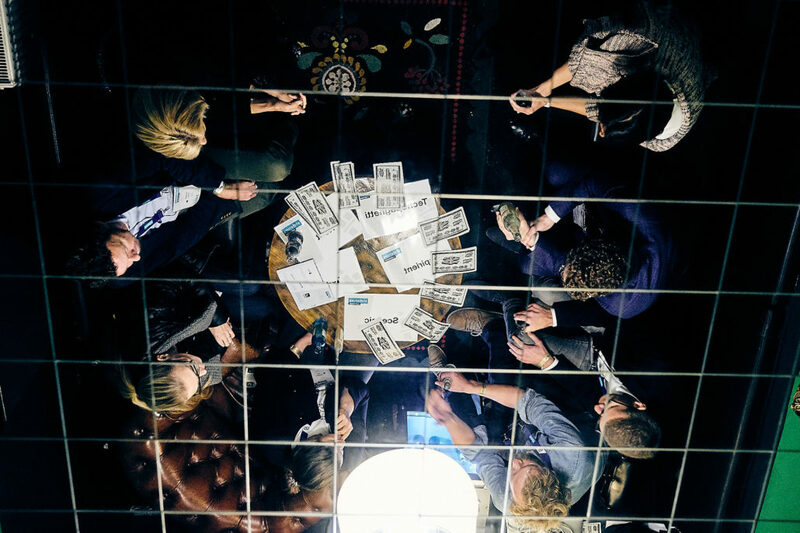 A lot of things are different in the American business world, and this can hardly be experienced anywhere as impressively as at the SXSW-Festival in Austin, Texas. Mirko Whitfield, who is in Charge for the festival in Europe, and the two Hamburg founders Jörg Land (Tinnitracks) and Daniel Raschke (picalike) can tell a lot about it, so much that we will also dedicate a separate article to it in the near future. If you can’t decide whether to locate your company in Germany or the USA, Maren and Matthias Wagener have a particularly attractive alternative for you. They run their company Vast Forward from a sailboat, which is always anchored where the sun shines. However, they work as concentrated as in any other office. It goes without saying that this panel is to be presented by XING’s “New Work” experts. The five finalists of the Startup@Reeperbahn Pitch sure put in a lot of work to get where they are now: on the Gruenspan stage to present their business ideas to eight jurors and more than 400 other guests. 120 startups had applied for the pitch, the best of them had been selected a few weeks ago by a top-class board of curators. 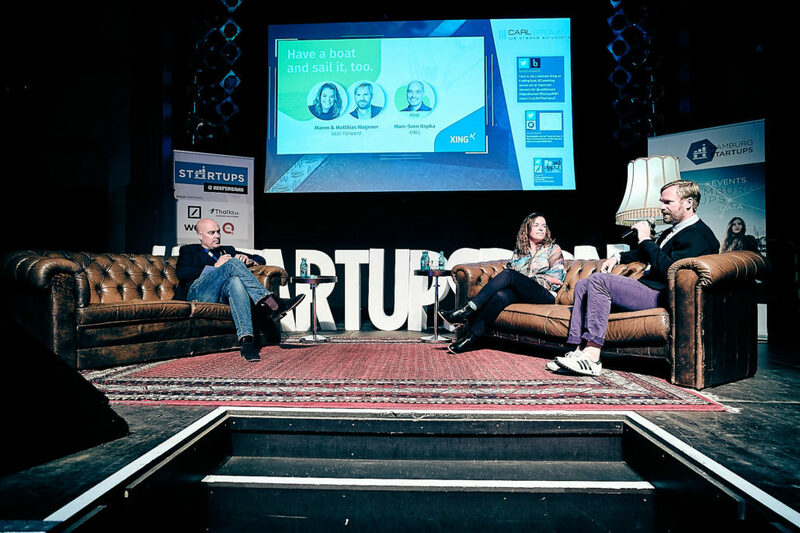 Detlef Schwarte, founder of the Reeperbahn Festival and the Hamburg Startups founders Sina Gritzuhn and Sanja Stankovic opened the evening. Nect from Hamburg then is the pitch prelude this Wednesday. Nect uses simple means to create a kind of digital identity card that brings the registration process into the 21st century. What often still has to be done by post is to go much faster and safer online in the future, without complicated passwords that you can’t remember anyway. Next up, Leah Frances Hinton enters the stage. 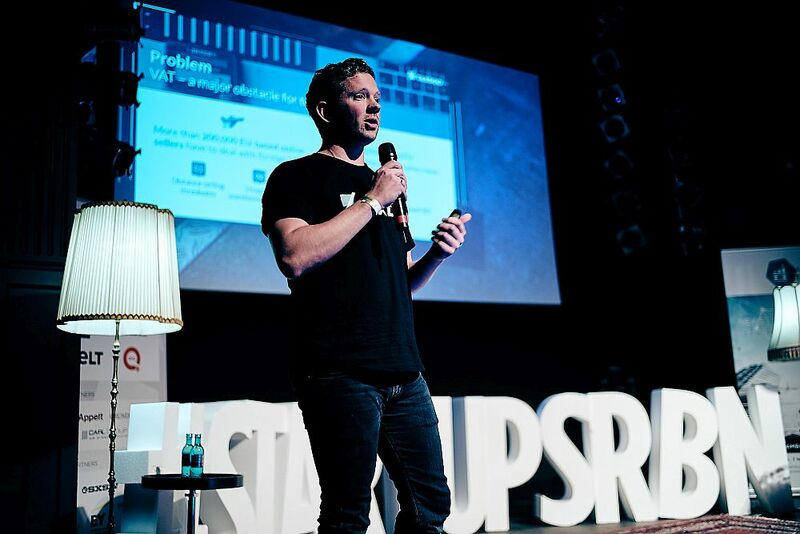 The teacher from New Zealand lives in Berlin and founded TechSpaghetti together with Elliot Tabachnik. Leah designs app games for children and has already celebrated some download successes. In addition, the technology developed for this purpose can be used to quickly and individually design apps without the need for detailed programming knowledge. 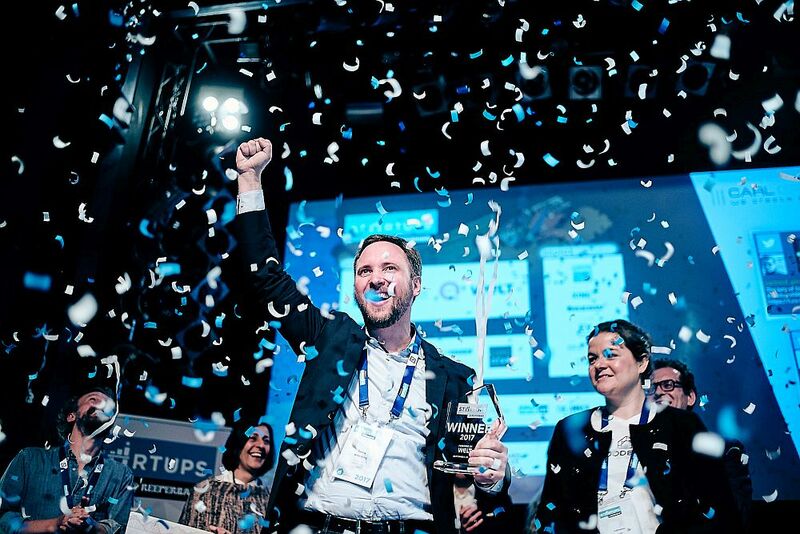 The second Hamburg startup to reach the final is Taxdoo. Taxdoo helps e-commerce companies with the handling of the VAT. This is calculated differently in each country so that suppliers who do business internationally usually have to deal with a lot of red tape. Taxdoo helps them to save a lot of time and money. Afterwards, Georg Wittenburg of Inspirient from Berlin sends the audience on a voyage of discovery. Not to distant countries, but to the world of data. This has meanwhile become so large and confusing that companies no longer manage to follow through with the analysis and often do not even know what to look for. Inspirient’s software takes care of this work for you and graphically prepares the results. The last candidate of the evening is Sceenic from London. Founder Paul Bojarski presents his idea to turn watching TV back into a community experience. The users can use a webcam to join a live broadcast and discuss, cheer and nag together about what is happening. Like everyone else, Paul has seven minutes for the pitch, and then the jury asks questions for another seven minutes. For one answer, he even gets scene applause when he explains that it is much better to keep the communication about the program on your own platform than to hand it over to services such as Twitter or Snapchat. The jury discusses in a lively way. So these were the five finalists, now it’s time for the jury to retire and settle on the winner. 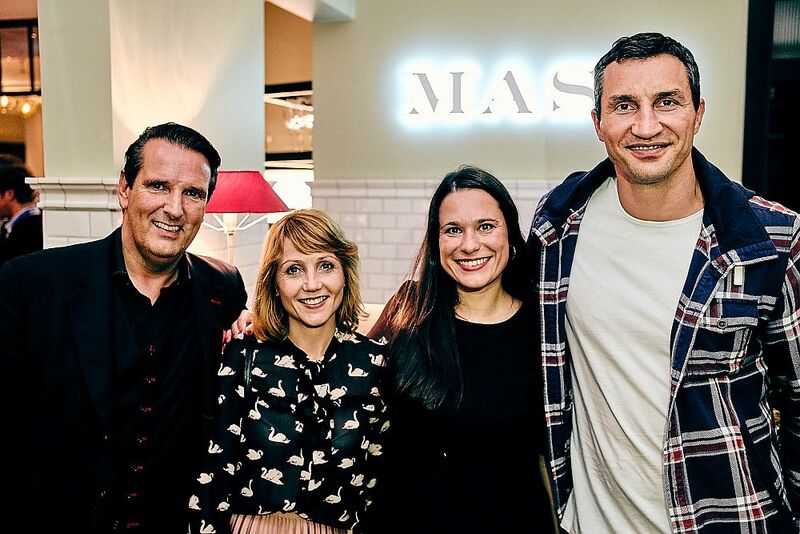 The jury consists of Dr. Brigitte Mohn (Bertelsmann), Christoph Schuh (Lakestar), Dr. Cornel Wisskirchen (Deutsche Bank), Tatjana Kiel (Klitschko Ventures), Katharina Link (WeltN24), Sven Klenner (Thalia), as well as the already mentioned Gina Deeble (QVC) and Fridtjof Detzner (Jimdo). From the very beginning, a favorite emerges, but of course, the pros and cons of all participants are carefully considered. Meanwhile, it shows how much expertise and experience this jury has. The decisive criteria are the marketability and competitiveness of the business models. At the end of the day, there is a clear decision for place 1 and a tight one for place 2. He did it! Georg Wittenburg from Inspirient is the winner of the evening. When that is sorted out, it’s off to the stage for the award ceremony. 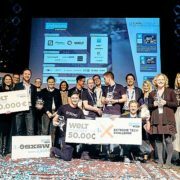 Sceenic secures a media budget for WELT worth 50,000 euros. 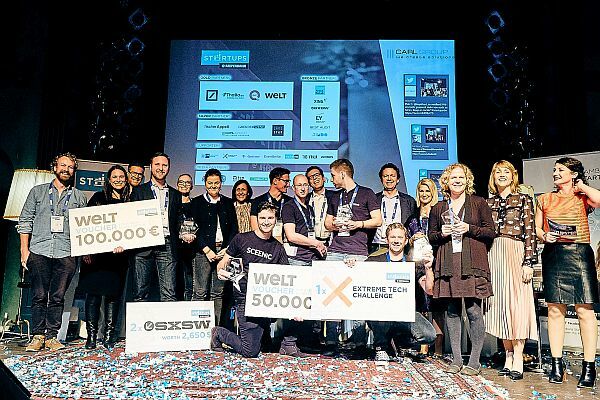 The main prize, a media budget of 100,000 euros and a trip to the SXSW Festival, is won by Inspirient. Taxdoo doesn’t leave empty-handed either. The local heroes have convinced the audience the most and are allowed to go to the XTC, a startup festival on Necker Island, Richard Branson’s private island. Insprient’s victory came as a surprise to some, not least to the founder himself. “I didn’t expect that at all, it comes as a complete surprise,” says Georg. For him, the minutes on stage were some of the hardest of his life, but the concept of a journey of discovery that was pitched for the first time has obviously paid off. Paul von Sceenic is also highly satisfied, already the contact to QVC and WELT is a gain for him. 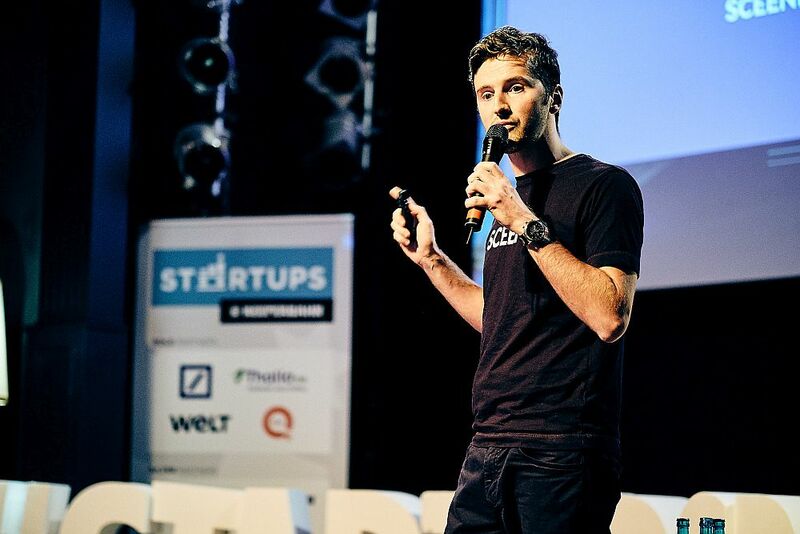 The Hanseatic city has been a good place for Paul ever since he joined next media accelerator. “Hamburg has given me a lot,” he sums up. 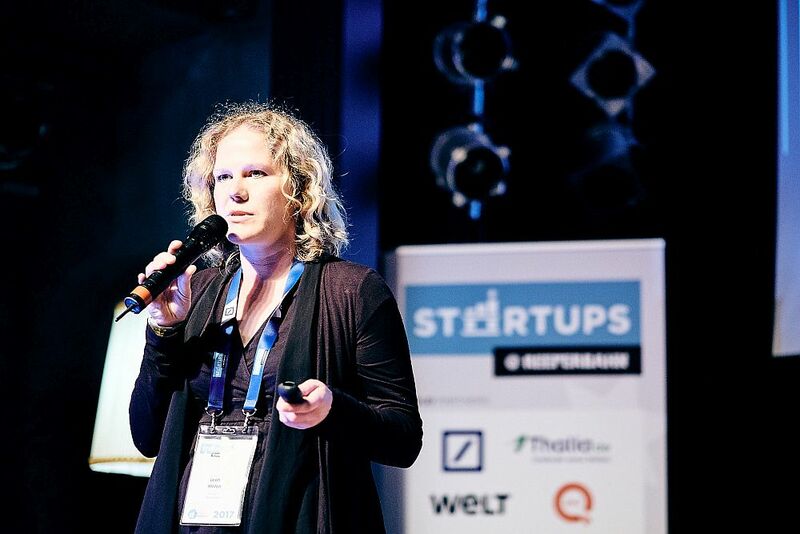 The founders of Startups@Reeperbahn are highly developed and highly competitive internationally. You have found a very good platform with this unusual and informal pitch format. It’s great that there is such a lively startup scene in Hamburg! The winner Inspirient fascinates me, even if it’s not my core business. Everything is full of energy here, and it was wonderful to talk to all the startups I met! It was a great evening with a great selection of startups. A big compliment to Sanja and Sina, who organized the event grandiosely! I was particularly impressed by the range of usecases among the participants! 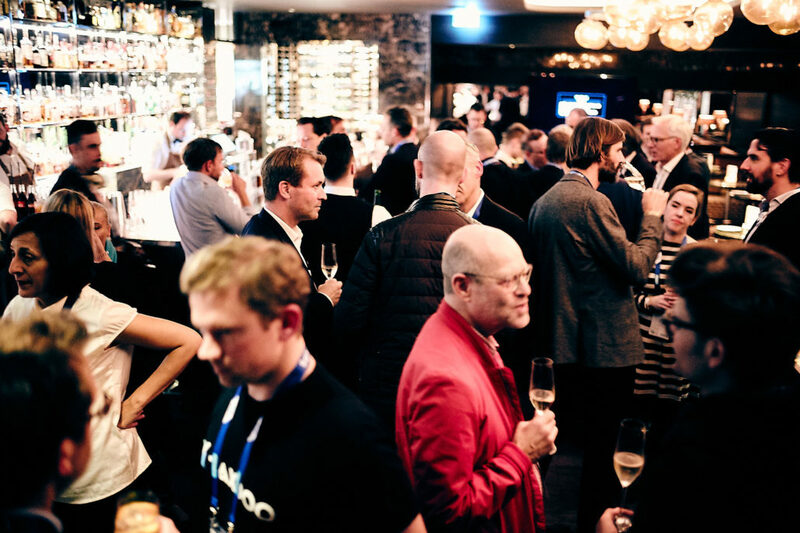 After such a successful day, Hamburg Startups invited to a VIP aftershow event at the steak restaurant MASH in the Große Elbstraße, where it goes by shuttle service. In addition to the Gold Partners, the dinner is be accompanied by three other important partners: EY, which has been with the company for five years an from the beginning, Lakestar and NetJets. Slowly the two founders of Hamburg Startups, Sanja Stankovic and Sina Gritzuhn, can relax a little bit. An exciting time and a stressful day lie behind them, which end with the certainty: It was great again! Here’s to a new one in 2018! About 70 invited guests came to the exclusive aftershow event.